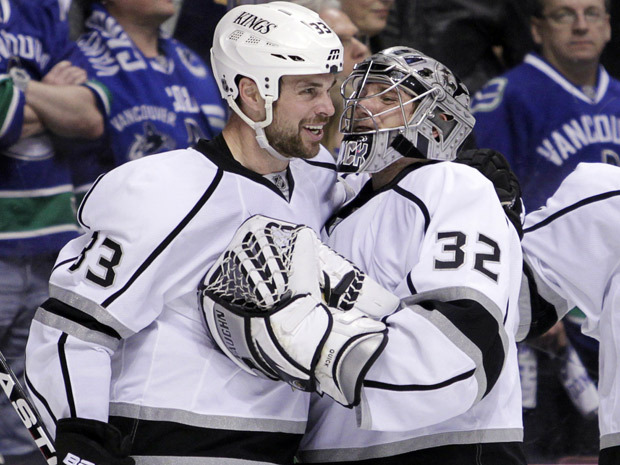 Willie Mitchell – Good Luck in Stanley Cup Final! VANCOUVER — When Willie Mitchell heads up to the West Coast Fishing Club for the ’Fishing for kids’ charity derby in British Columbia’s Queen Charlotte Islands at the end of this summer and meets with various members of the Vancouver Canucks, they’ll have a few stories to swap. Mitchell qualified for his first shot at the Stanley Cup this week when his L.A. Kings made the final and now his former teammates will go through what he did last season, which is sit and watch someone else try to win hockey’s ultimate prize. “That wasn’t easy for me to watch last year when Vancouver made their great run because in a way, I felt or thought I felt a part of it,” said Mitchell from L.A. where he will soon get onto a plane and head to New York where the Kings will stay for the final which begins Wednesday in Newark, against the New Jersey Devils. “In many ways in my first year here my heart and mind was essentially still in Vancouver to some extent. Everyone knew I loved playing for my hometown team and in fact that was one of the first things [Kings GM] Dean Lombardi said to me when we talked. He said he respected the bleep out of the fact I was loyal to that team and that I was still trying to make it work there. And it made me feel good that he understood and respected it. “There was no real hard feelings, I understood where they wanted to go with their team. I talked about it with [Vancouver Canucks GM Mike Gillis] at the time and we knew there were the health risks after my concussion and they made me an offer for one year at a little less than half of what the Kings were offering. Two years ago, the summer Mitchell departed for LA, he, Dan Hamhuis and Manny Malhotra (and perhaps others) were up at the Fishing Derby along with Paolo and Francesco Aquilini, Gillis and Canucks assistant GM Laurence Gilman to promote the cause and to relax a bit before the season began. The feelings and emotions were not strained at all according to the pride of Port McNeill, B.C..
Mitchell has been part of a team that made a similar run like the Kings have fashioned when he was in Minnesota when the Jacques Lemaire-coached Wild upset Vancouver in the second round in ’03 and went to the Conference final. But he says the only similarity between that team and this year’s Kings is coaching. “When we found out Darryl [Sutter] was coming in, all anyone would say is that ’he’s really demanding of you as a player.’ And it’s funny because we didn’t know anything else about him as a coach. But when he got here we found he is organized and makes good adjustments on the go. A coach is really important with teams now. But that’s about the only similarity I can see.